23 EU member states have agreed to work closer together in military terms. But the cooperation of defence contractors could cause some problems – especially between Berlin and Paris. EURACTIV Germany’s media partner Der Tagesspiegel reports. That thoughts of stronger European cooperation in security and defence policy are currently en vogue also has to do with the isolationist stance of US President Donald Trump. Even in Germany, where international military operations are not undertaken with the same gusto as in France, one sentence spoken by Chancellor Angela Merkel in May is still resonating: “We Europeans have to take our destiny into our own hands.” The times, where one could “completely rely” on others are “to an extent” over, Merkel said back then, with a glance at the US president. In the military area, Europeans currently spell out what could be the common answer to Trump’s policy. “PESCO” is the abbreviation for a common defence policy, meaning “permanent structured cooperation” between single European member states. What might sound a bit bulky, is nothing other than a provision made in the Lisbon Treaty in 2009, which makes a “coalition of the willing” in European defence possible. PESCO is not meant to compete with NATO, but rather encourage common missions and interconnect national armaments industries. At present, Europeans are providing 178 different weapon systems. In comparison, the US uses 30. Through stronger cross-border cooperation Europeans want to make sure that they can keep up with the pace in the global technology race of the future. In addition, it is simple budgetary concerns that force closer armaments cooperation. “We want to expand cooperation because armaments are becoming more expensive,” says Jean-Jacques Bridey, the chairman of the defence committee in the French Parliament. It is not the first time that the EU has attempted to place soldiers of national armies under a common command. In the last decade an EU combat group was created, which can be quickly deployed as an intervention force in conflict areas. But these so-called “battle groups” have never been used. This time, however, PESCO is intended to create an instrument that actually proves to be viable for the participating countries. 23 countries – excluding the UK, Ireland, Denmark, Malta and Portugal – signed the founding document for permanent cooperation earlier this month. The cooperation is meant to be finalised at the EU summit in mid-December. Germany and France are the drivers of the project. However, Berlin and Paris do not look at the impending military cooperation from the same perspective. As heard in Brussels, the Chancellery initially came up with the idea after the Brexit vote in June 2016 that PESCO can be used to document that the remaining EU states are seeking closer cooperation. The French, however, intended a less political post-Brexit signal. Instead, they look for support for solid military operations. “It is not about creating a defence instrument for its own sake, but about the ability to deploy our troops as needed,” was the line from Paris. What is meant by that can be seen when looking at the French mission in Mali, which has been underway for almost five years. At first, French troops were completely on their own when in January 2013 operation “Serval” began in the north of the country, aiming to push back the Islamist insurgency. Today, more than 13,000 soldiers from 52 nations participate in the UN mission Minusma to stabilise the West-African country. Germany, which joined weeks after the beginning of the French operation, is now involved with about 950 soldiers. In Paris, there are hopes that France in the future no longer has to rush forward when it comes to missions like the one in Mali. Intelligence information should be shared in time; joint exercises would take place in advance. “If we want to go together with other countries on an operation next time, then we will include them from the start,” Paris says. Whether this is possible with the help of PESCO, however, is written in the stars. So far, 50 possible projects have been added to the joint project list of the 23 EU member states. Until the next meeting of EU foreign and defence ministers on 11 December, five to ten projects will be selected. These are by no means major armaments projects, but rather modest undertakings. 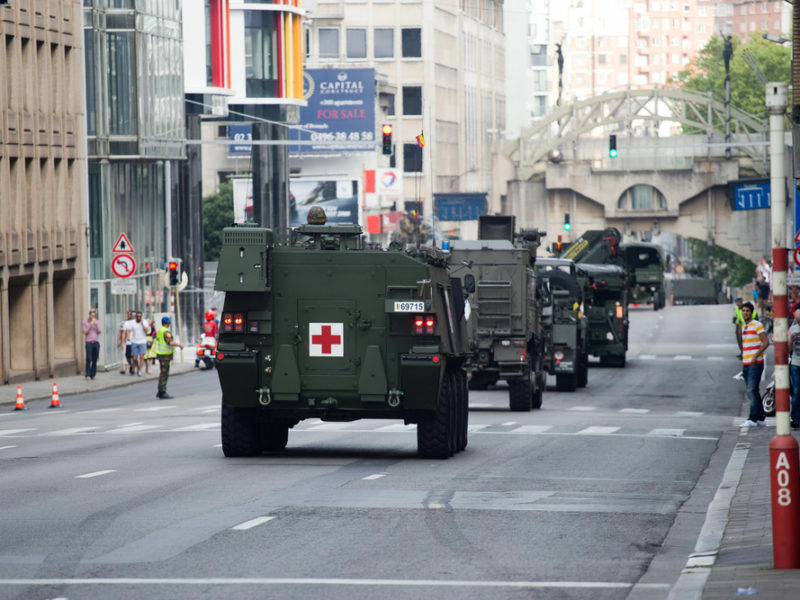 Berlin wants a medical command and equipment logistics network, each of which should be operated under joint responsibility. Paris on the other hand is talking about joint training missions. 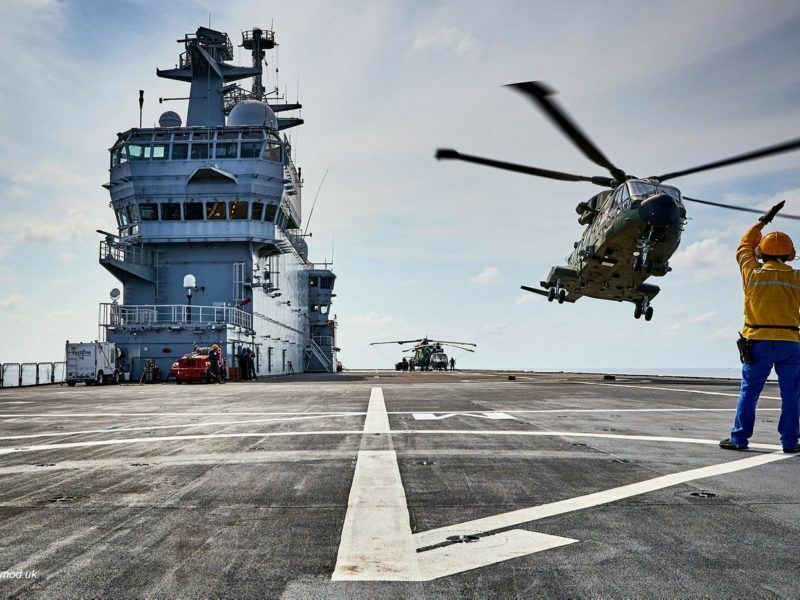 However, the real endurance test for Europe’s new defence policy cooperation is likely to come when dealing with joint industrial projects. 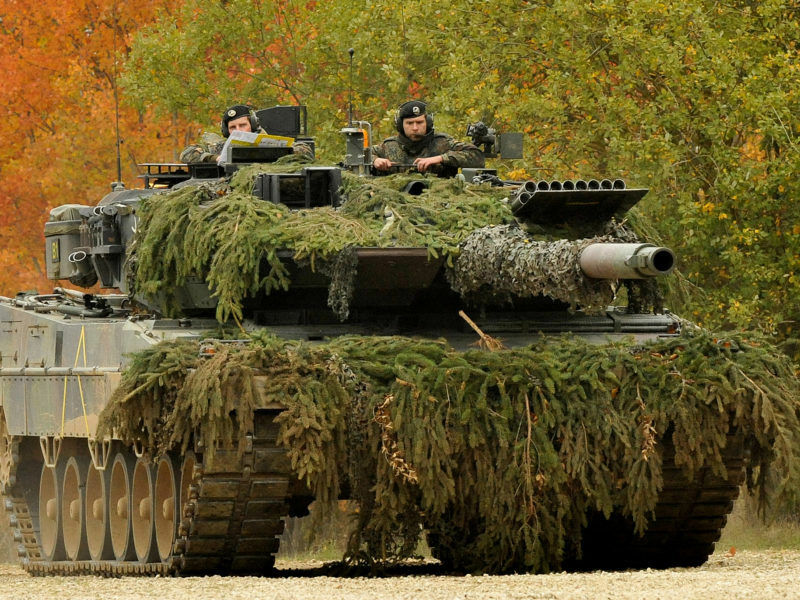 The merged Franco-German tank builders Krauss-Maffei Wegmann (KMW) and Nexter already faced the development of a joint successor model for the Leopard 2 and the French Leclerc. Also, last July Merkel and Macron announced that Germany and France want to develop a European fighter jet together. But this is a long-term project: it takes more than a decade to develop a new jet that could replace the Bundeswehr’s Eurofighter and the Rafale fighter aircraft from French armaments factory Dassault. The fact that a purely French company like Dassault should up for European industrial cooperation is, according to Philippe Ricard, by no means to be taken for granted. The journalist of “Le Monde” also believes that the Directorate General for Armaments (DGA), which organises the procurement of military equipment on behalf of the French government, opposes the Europeanisation of industrial cooperation. And when it comes to cross-border armaments cooperation, then the French side often insists on technology leadership. PESCO is also threatened by difficulties from the political side. Paris hopes that the participating EU countries will be as ambitious as possible in the development of an independent defence policy. Berlin, however, wanted to keep the number of participating countries as large as possible – with the result that countries like Poland are also in and are more likely to be on the brake pedal. The participation of Poland is remarkable as the country has so far been absent in European industrial projects such as the Airbus A400M transport aircraft. When the PESCO Founding Document was signed in Brussels earlier this month, Polish Foreign Minister Witold Waszczykowski and Defence Minister Antoni Macierewicz set out three conditions for cooperation in a letter to their European counterparts. This included the requirement that the new European defence cooperation should respect the primacy of NATO planning. 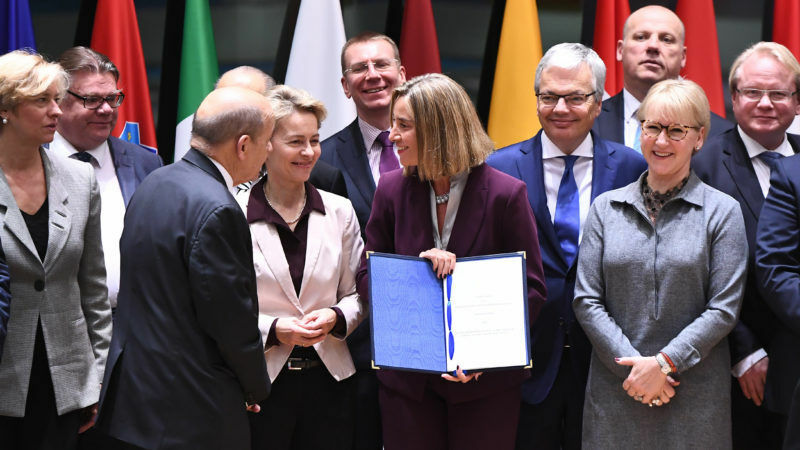 Accordingly, the first steps of the permanent defence cooperation in Paris are commented on cautiously: “Whether PESCO works,” they say, “we can say in five years”. You only need to look at the size of various countries defence budget to see how this will go. Within NATO the USA does the vast majority of the work and expense: far more than even it’s great size implies. Almost all other NATO countries – with one or two honourable exceptions, including Britain – do not even spend the nominal 2% of GDP on defence. Germany runs a massive budget surplus and yet it’s defence spending is less than half of the NATO minimum. Itis no wonder that the Americans have finally become fed up with the Europeans – they feel less and less inclined for Uncle Sam to do what Europe could easily do itself, but chooses not to. Americans I know get two messages from Europe – the first is to get slagged off about being “miltaristic” and bragging about the superiority of European social systems. The second is a permanent plea from Europeans for Americans to protect them from Putin!